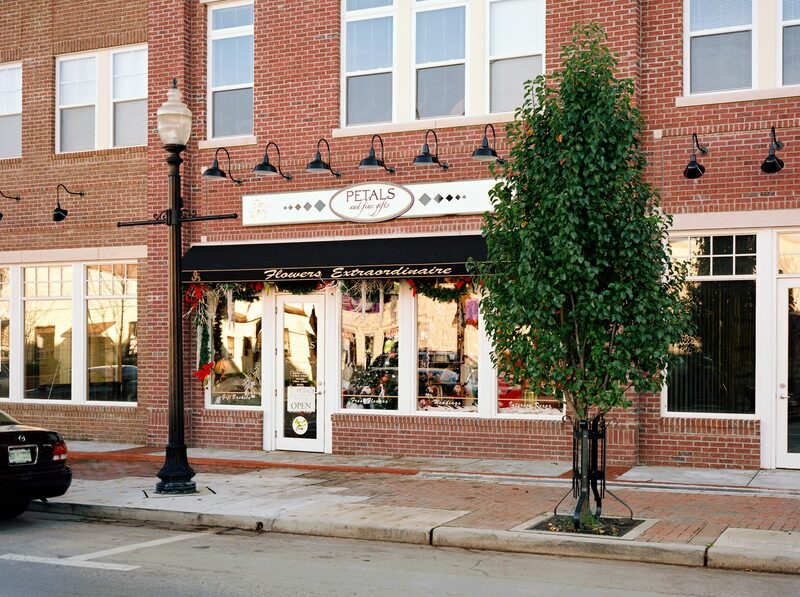 Fronting onto historic Main Street, this infill design reinforces the street by providing at-grade retail with 2-story housing above. 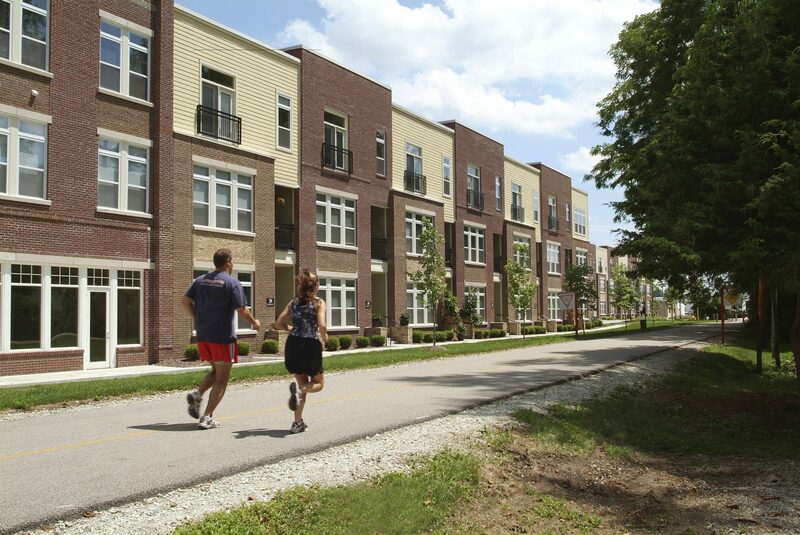 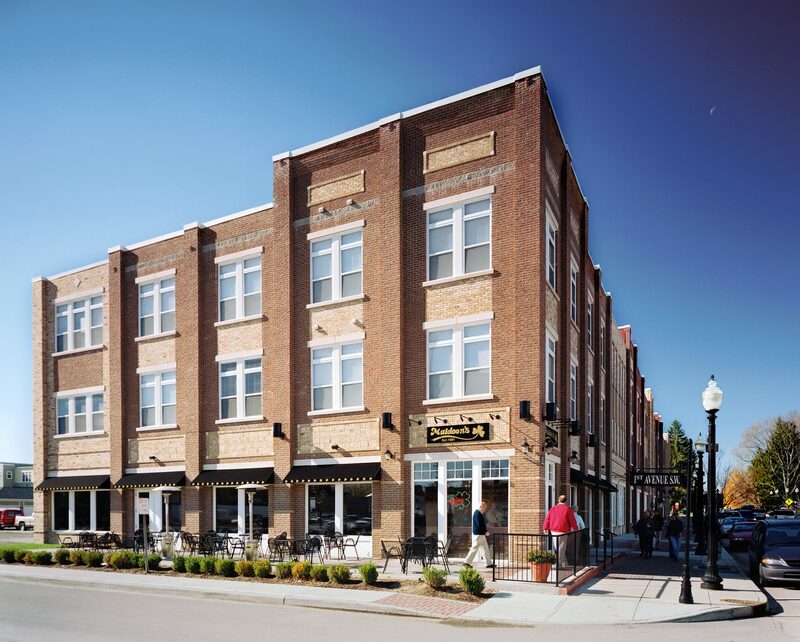 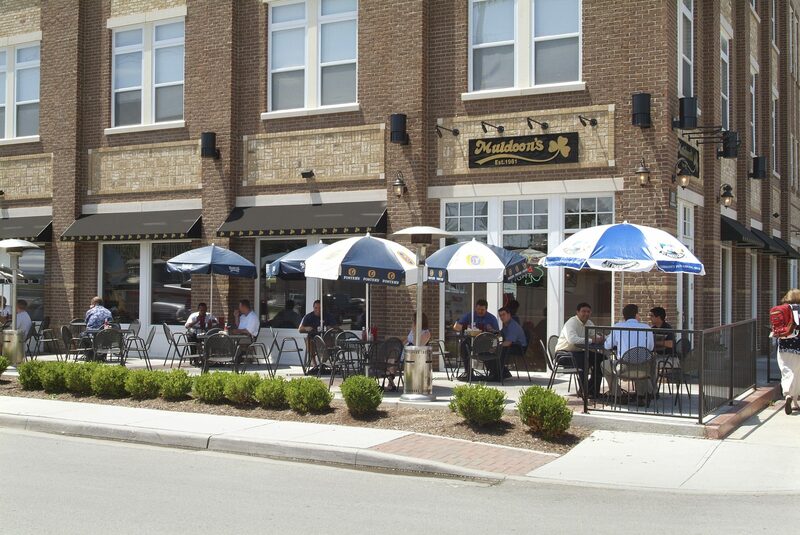 In addition, an existing brick warehouse structure was converted into loft apartments and new townhomes were constructed to capitalize on views to the newly renovated Monon Trail. 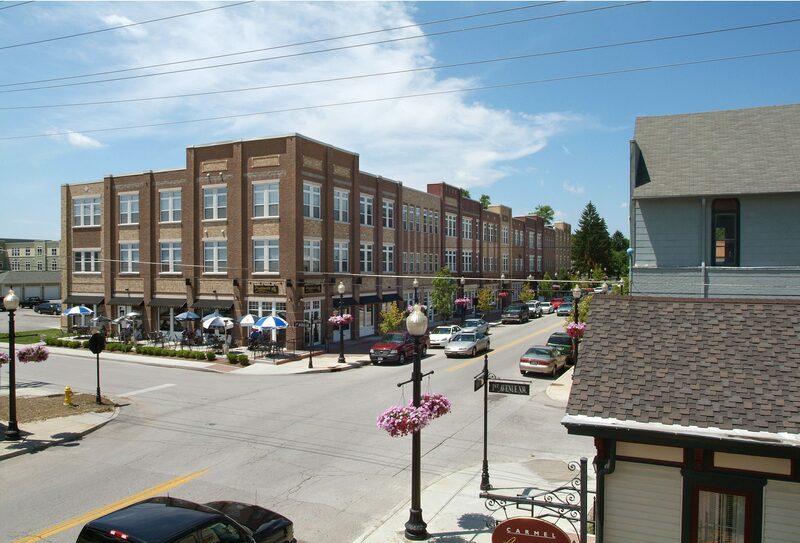 The parking is concealed from the street by locating it in the interior of the site and wrapping the surface parking with housing and retail.